Transparency and accountability in public and private sectors. Enable and support alternative forms of participation, and engagement that helps people organise, mobilise, and resist excessive power as well as demand transparency, accountability and responsiveness. Support governments to deliver more participatory democratic processes and improve the quality and capacity of policies and officials to deliver on the needs of the people. Supporting a diverse and rich mix of voices will be the defining element of this work which will be Enhance public debates and open spaces pushing for democratic accountability and strengthen voices for collective engagement. Corruption remains an important factor affecting the ability of the people of the region to enjoy respectable living conditions. OSISA has had encouraging results in promoting accountability and fighting corruption. Launching the OSISA study on corruption in Southern Africa contributed to generating a fierce debate on corruption in Malawi and Zambia. 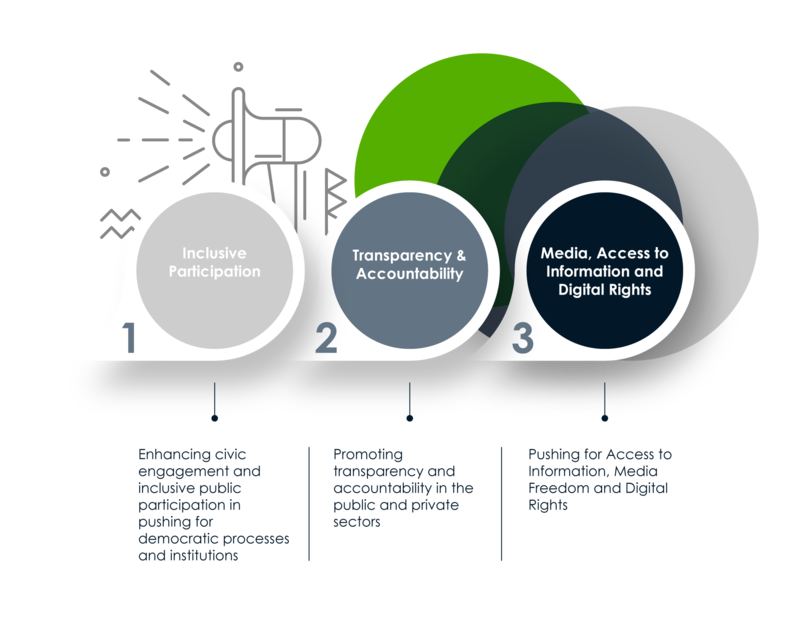 We wish to consolidate this work by promoting accountability and strengthening support to civic initiatives to enhance social accountability mechanisms that are pushing for public resources to be managed in ways that promote accountability and transparency. Support independent and investigative journalism to check the excess of power and provide the ammunition for advocacy whether it is tracing beneficial ownership of companies, following up on tenders, checking up on procurement, or searching for answers, all of this should be about making connections with citizens so that they can use the information to demand answers and push for accountability. We will also support campaigns and advocacy aimed at removing constraints on getting online including promoting policies to increase the accessibility, availability & affordability of the Internet. Support innovative and creative hubs that are able to create applications/tools that facilitate the telling of stories and sharing of information.